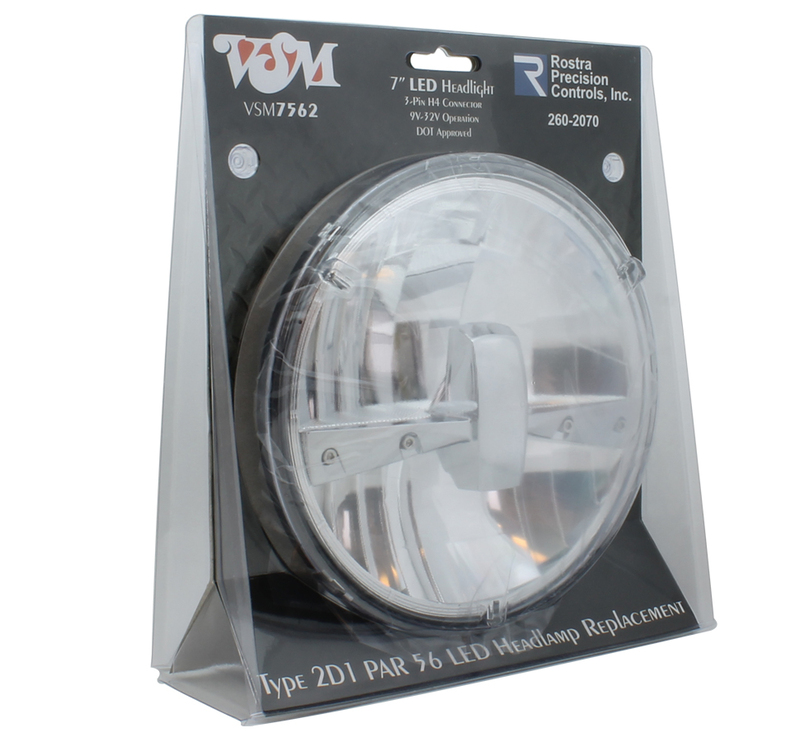 Rostra is pleased to introduce its all-new 260-2070 2D1 PAR 56 replacement LED headlamp. Sold in an attractive clamshell retail package, constructed from a die-cast aluminum housing and rugged, abrasion resistant UV-protected lens, this sealed lamp provides vehicle owners with a simple way of replacing aging halogen assemblies with state of the art LED lighting technology. The built-in three-pin H4 connector allows for easy vehicle retrofitting while 9-volt to 32-volt operation covers a wide range of passenger car and truck, motorcycle and commercial vehicle applications. DOT approved 2D1 Par 56 headlamp. 600 lumen low, 1085 lumen high beam. 15W low beam, 27W high beam. Click image to download full resolution version. For the best in driving experience, choose an LED headlight from Rostra, the leader in 12-volt Accessories technology. Please note, LED headlights for Jeep and Classic Car applications are only sold through authorized distributors. Please contact Rostra to locate a distributor in your area for your LED headlamp needs.